As 2013 draws to a close, we took a look at the past year and the blog articles that have been developed and posted on THE BOSS SNOWPLOW blog page. Here is a summary of the top five blog posts of 2013. When it comes to buying a diesel-powered pickup truck for plowing snow, there are a few things you should consider before a purchase. 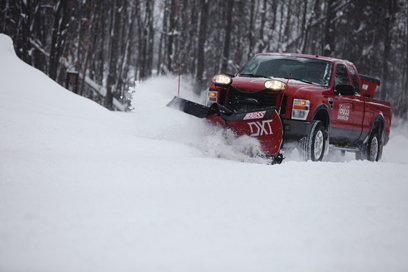 Before you purchase a snowplow, read about these important factors while considering your options. Despite the twenty year tenure of the hydraulic lift snowplow system, there are a few myths that exist regarding the system. Keep these common snowplow storage mistakes in mind and avoid them when preparing your snow plow for storage. A look at hydraulic vs winch ATV snowplow systems. What blog articles would you like to see from THE BOSS in 2014? Comment with your ideas below.